It's Friday, so I'm allowed to have a little fun. Erin flies back into Denver (finally!) tonight and we can finally have a relaxing weekend where we sit on the couch and do absolutely nice. Doesn't that sound amazing? In the past couple of weeks, I've gotten really into Instagram — and I think Erin has also. If you're not sure what Instagram is, you're probably living under a rock. This week at Exclusive Resorts, I wrote a blog post about Instagramming your vacation. You can learn all about the popular iPhone app in that blog post. 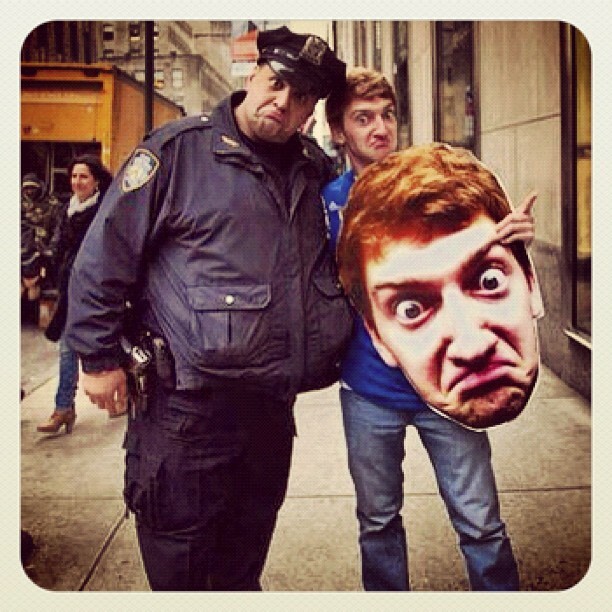 On this Friday, I'm taking the liberty to pick out the top 5 Instagram photos of the week. This could be a fun little series to keep up — we'll make up that decision once we see how well it does traffic-wise. One of these five photos is by a college friend who has taken some great shots. Enjoy your Friday! This shot comes from The Daily — the iPad-only digital newspaper. They met up with Alabama super fan Jack Blackenship. He brings a giant poster of his terribly distracting face to all games and the crowd goes crazy whenever the opposing team misses a free throw. The Daily met up with Blankeship this past week in New York, when the Crimson Tide fan was featured on the Jimmy Kimmel Show. 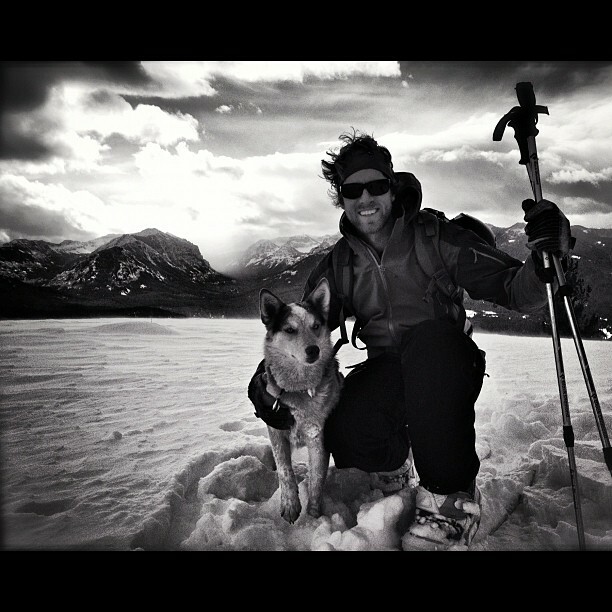 Jordan Holsinger, a college friend of mine, poses with his dog at the Ridge at Lick Creek in Montana. 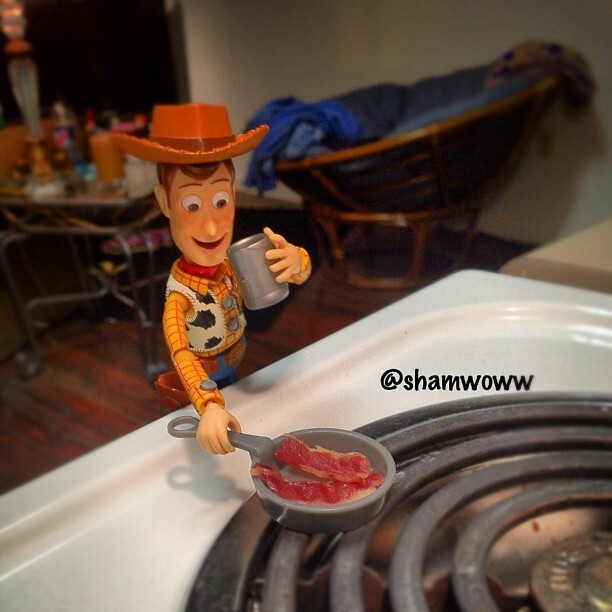 This Instagrammer — Shamwoww — has a really popular feed where he tells the story of Woody from Toy Story. If you check him out (use Gramfeed.com to search online), enjoy this hilarious series of photos. This might be a little biased, but isn't it hilarious? Erin shot this at the Smith in New York City over the weekend. What was really weird is, when you went downstairs to the bathrooms, there was only one. 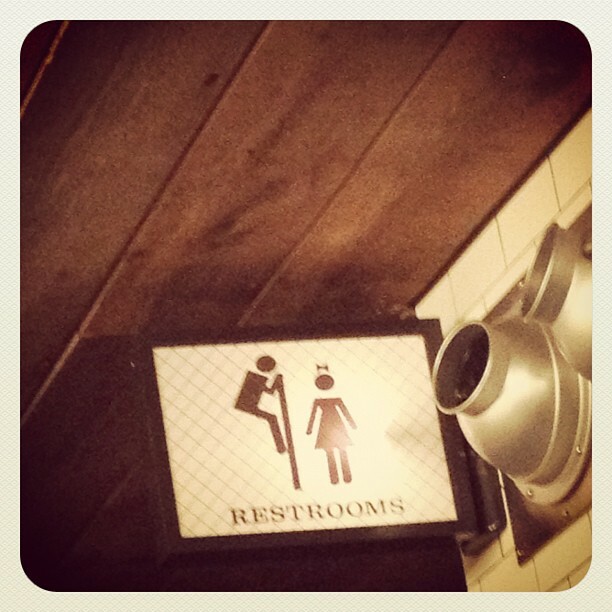 And it was a mixed gender bathroom. Go figure. And because I really miss track and field this week (it's the indoor conference championships this weekend for Erin's and my alma mater), I had to feature this photo of Olympian sprinter Allyson Felix. She is a beast. And she might try the 200-400 double at the 2012 Olympic Games in London. Ok, so I was super proud of myself because last time you said "you must be living under a rock if..." I totally knew what you were talking about. (evernote). I love checking your blog because i learn pop culture/ social media stuff that i normally find a drag, but you make it personalized & interesting!